"Hostage? What is hostage? 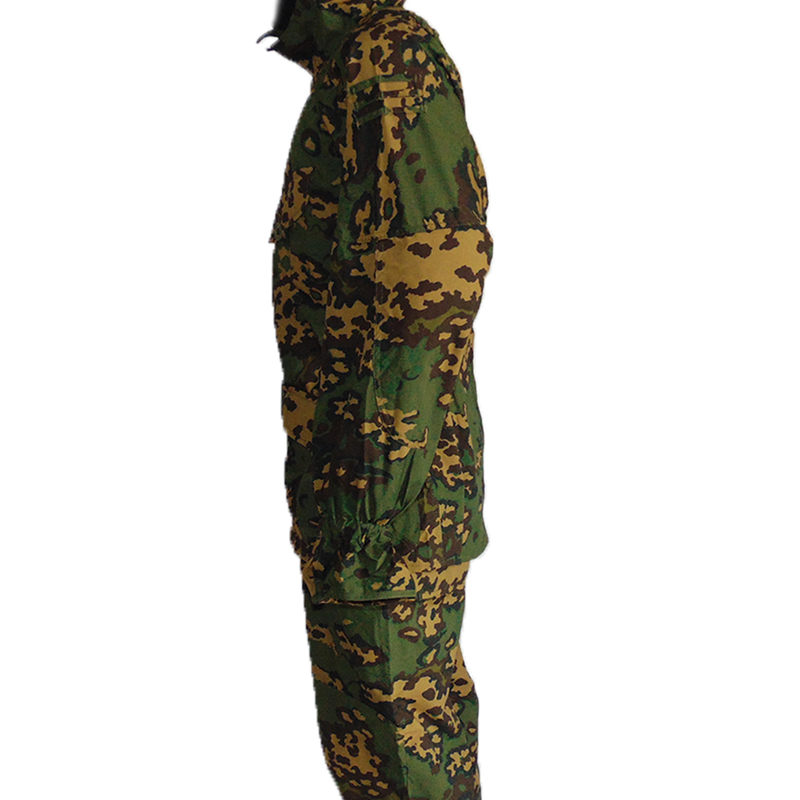 I do not know this word..."
A truly legendary piece of modern Russian military apparel, windproof and extremely comfortable in a variety of settings. 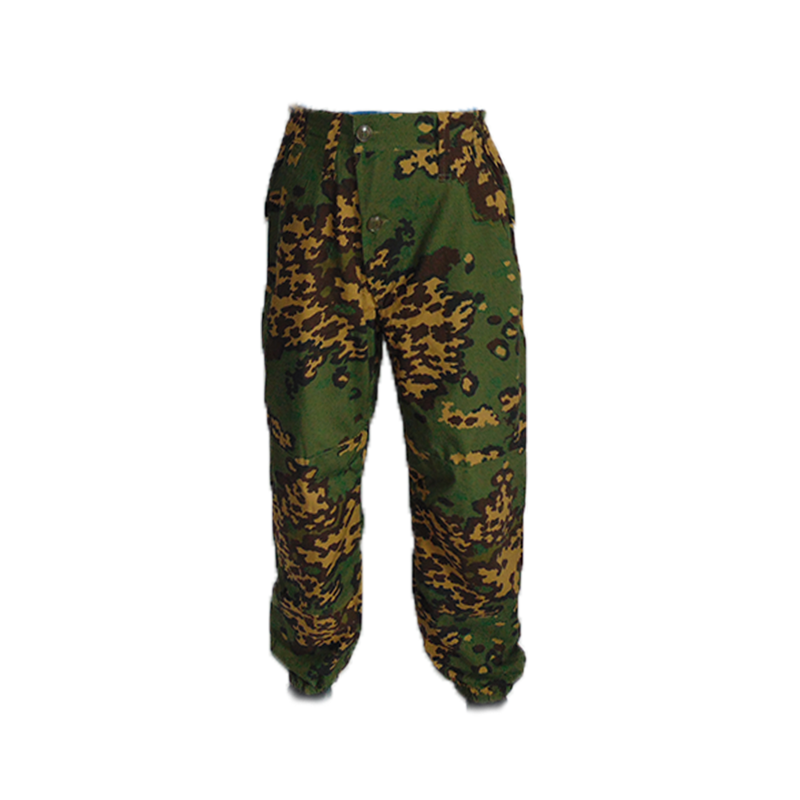 Not to mention, it's in the wacky but very effective Russian-German flecktarn love-child "Partizan" pattern. 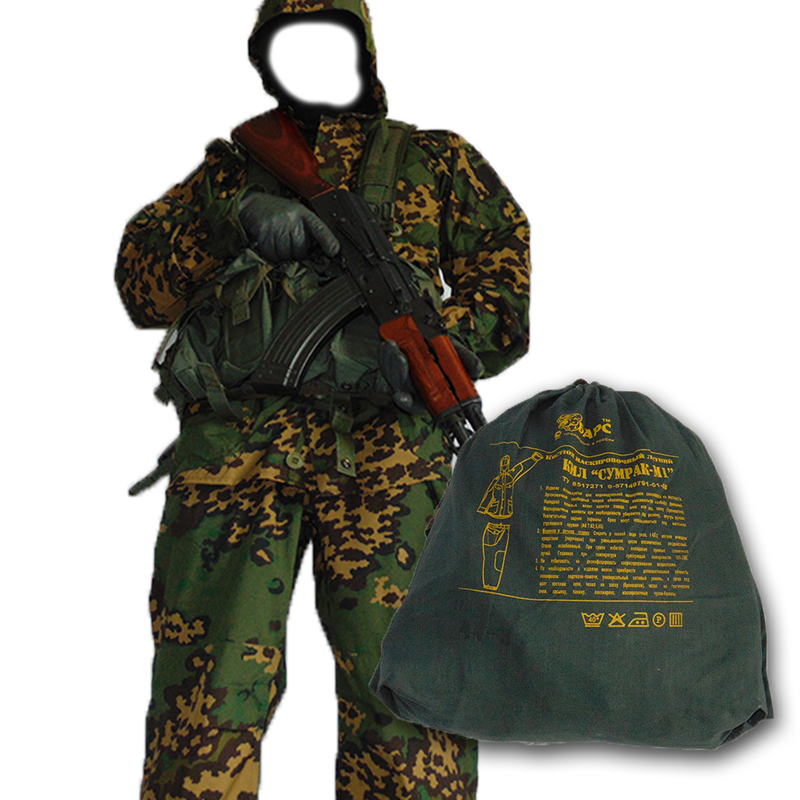 This outstanding lightweight Sumrak or "twilight" set of a buttoned jacket and pants was developed for the Russian SSO ("Sily spetsial’nykh operatsii") or Special Operations Forces. 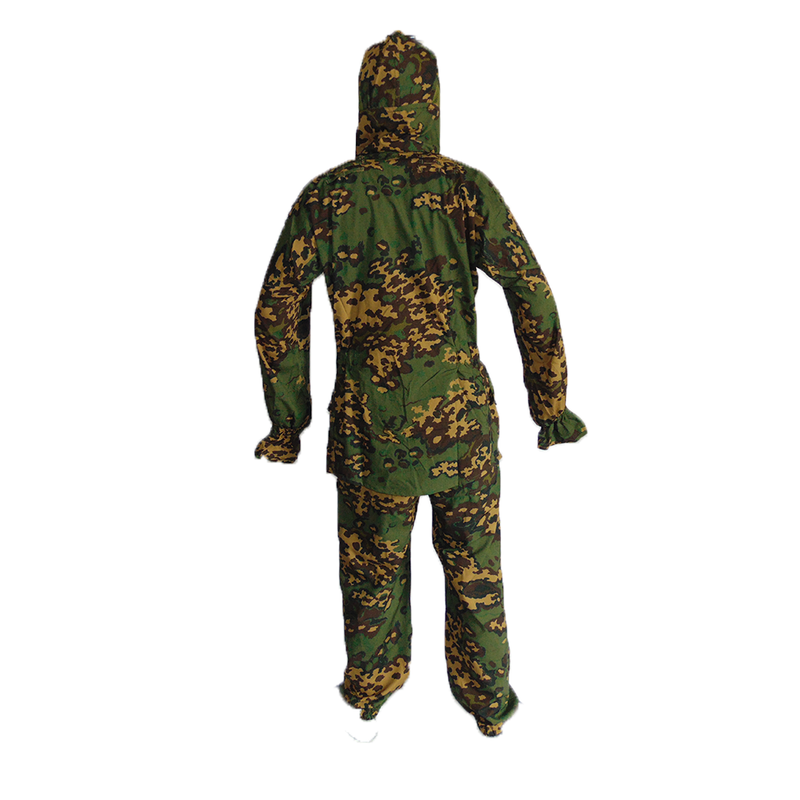 It;s all neatly bundled for you in an extra Slavic, OD green draw string bag. 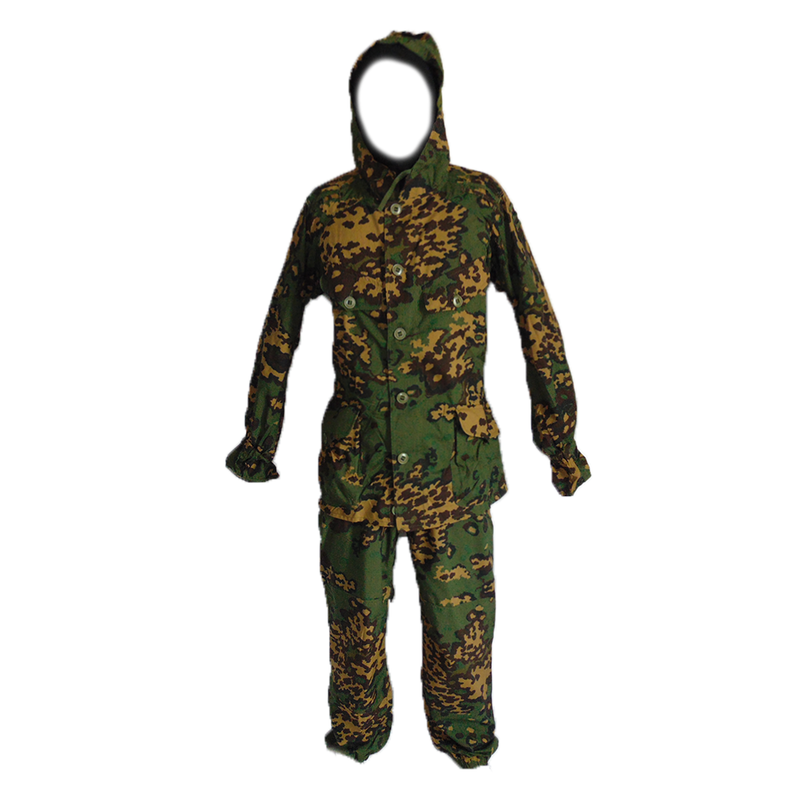 This utilitarian suit is outstanding as both a standalone uniform suit, or can be utilized as an outer camoflauge layer during winter operations.